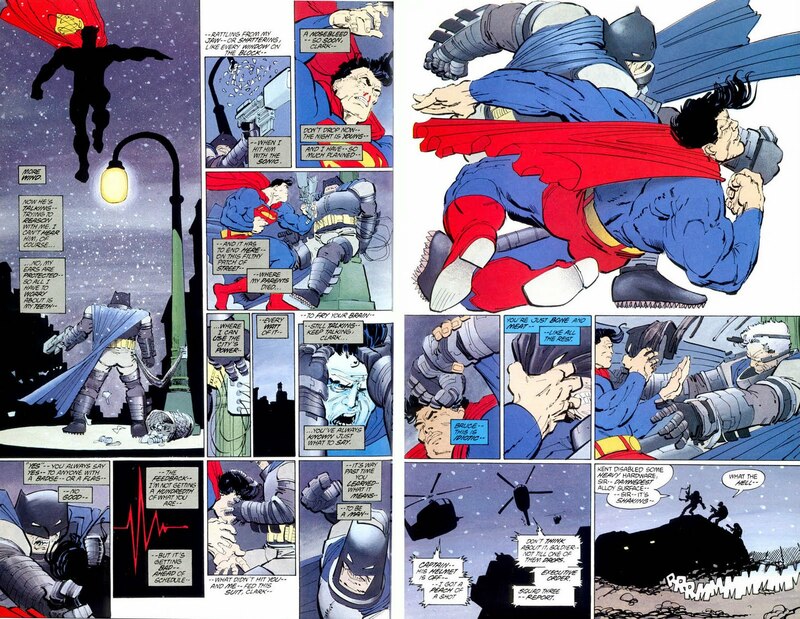 Recently watching Batman: The Dark Knight Returns, Part Two, I started a conversation about the film and mentioned some disgust with the portrayal of Superman in the piece. A friend chimed in that he felt the portrayal was fairly consistent with Superman, which struck me as odd. To me, Superman is many things but I couldn’t readily picture him as the moronic, nigh-mindless, sycophant and yes-man in the film. This Superman had lost his hope and faith which largely walks in the opposite direction of what the hero has always represented. A possible future, I chalked up the change in character to background the audience is not made privy to and yet, some people observe that Superman as the Superman. To understand Superman, you have to understand his genesis. The Great Depression had ravaged America. The United States was rife with racism, sexism, and antisemitism. Immigrants from Europe, especially non-Protestants, were treated as garbage by Americans who considered themselves “natives” (having been born on US soil for a couple generations). Likely the most tread upon people were Jewish immigrants. Work was next to impossible to find and so work for Jews was virtually non-existent, often the case only Jews would hire other Jews. Largely, the comic book industry grew out of this condition. 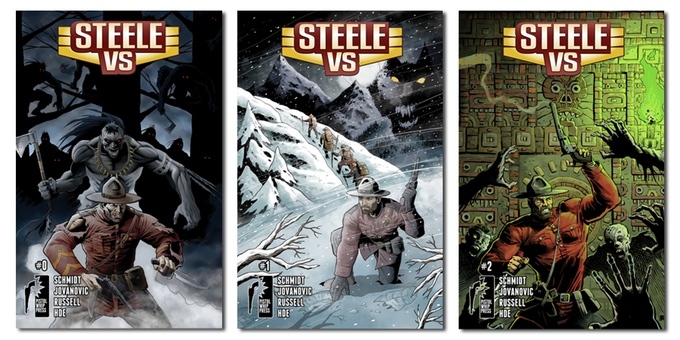 Among the echelon of accepted jobs in media, advertisement art and comic strips were pretty low, but even lower was pulp fiction and at the bottom was comic books. Comic publishers were owned and operated by Jews, in part hiring Jews because of the aforementioned reasons, but also because the structure made hiring them cheap. While it would take decades for comic book creators to crawl up this social structure, the comic book would climb new levels with the advent of Superman. 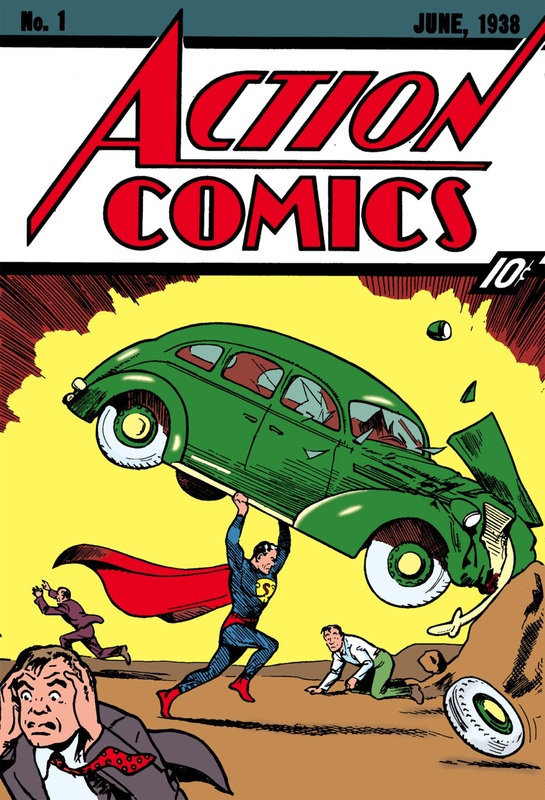 Born from the minds of science fiction fans Jerry Siegel (the son of Jewish immigrants, his father murdered by thieves during a robbery) and Jewish immigrant Joe Shuster, Superman is generally accepted as the first costumed super-powered hero and quickly became a cash cow for National Allied Publications. Often compared to Moses, Superman was the only survivor of his alien world, rocketed to Earth where his father knew he would have natural gifts to contribute to mankind. Landing in Smallville, Kansas, the child was raised by the kindly couple Martha and Jonathan Kent where he was raised to be humble, hard working, and have a strong belief in the principles America was built upon in tolerance, freedom, and justice. It’s not difficult to see the analogy to the journey of the immigrant coming to America. Superman’s story is the story of many who came to America, often with knowledge and skills fostered in their native country who came to the United States for its promise of acceptance and liberty. 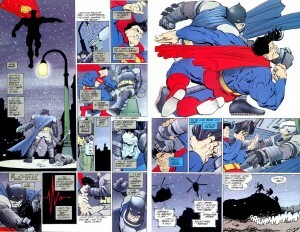 However, Superman represented so much more than that. In Superman, the absolute best in humanity was given shape. In part a modern iteration of the hero archetype personified in Gilgamesh, Heracles, et al, Superman was draped in the colors of the American flag (with yellow in place of white) and while he was stronger, faster, and overall superior in every way to a man, what made him a super-man was his capacity for compassion and empathy of his adopted people. At his core, before the weaknesses in Kryptonite, red sunlight, and magic were introduced to help creators write stories, the only way to truly harm Superman was to harm people. 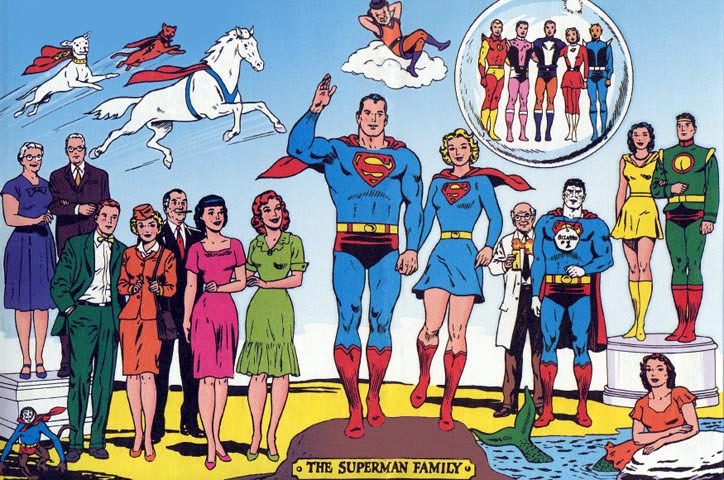 Where comic characters were created as wealthy playboys seeking adventure or seeking vengeance against an element that robbed them of a loved one or as some form of penance, Superman did the right thing because he simply had the power to help others. The while, he did so with respect to the law despite being an outlaw because he was well aware of what comes from becoming the law. For that, he simply had to look to what was going on in Germany. While people often think of World War II when thinking of Germany, the injustices of that dark period didn’t arise overnight. Several decades before that conflict, Germany was at the center of the first World War which is often overshadowed by the pure hellish conditions of the war that followed it. Part of what facilitated the worsening condition was the rise of the National Socialist German Workers’ Party and its leader Adolf Hitler in the wake of that war. At first, Hitler tried to take the German government by force only to fail and be imprisoned. The time actually provided the charismatic leader exposure later resulting in his election to office. That same charisma helped him to convince most of his country into his beliefs that Germany was superior and deserved to rule the world, literally destroying others like Jews and Communists. This belief led to the deaths of an estimated eleven million people, six million of which were Jews. 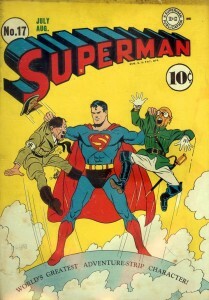 While the creation of Superman predates World War II, Hitler was firmly in the minds of his creators. While Superman physically represents some of the ideas of the Übermensch that Hitler prized, Superman stood against tyranny and ignorance and while being physically superior to man, he didn’t think himself above them. It’s this distinction that’s important to understanding the character and why while he battled the Nazis during World War II, he didn’t lower himself to virtually any other war due in large part to wars since then often being born out of political positioning (the conflict resulting from 9/11/01 an obvious exception). In the 1960s, editors like Julius Schwartz and Mort Weisinger helped usher in a new age for DC Comics and especially the Man of Steel taking the character from dealing largely with organized crime and mad scientists to tackling science fiction seeing the advent of the alien would-be god Brainiac, people from Krypton’s society in the Bottle City of Kandor and Supergirl, a veritable army of superhumans in the time-traveling Legion of Super-Heroes, the walking death/Kryptonite-empowered Metallo, and the imperfect double of the hero in Bizarro. While certainly the material wasn’t as blatant in its appeal to philosophy as, for example, the treatment of Silver Surfer by Stan Lee, it was baby steps to exploring the identity of Superman. In other words, when you introduce threats that posed a threat to Superman or a cast that rival the hero’s power, you take the character from the position of power as a father-like figure and break him down to really see what he was underneath. Because, if anyone had powers like Superman, they could all but crush crime. 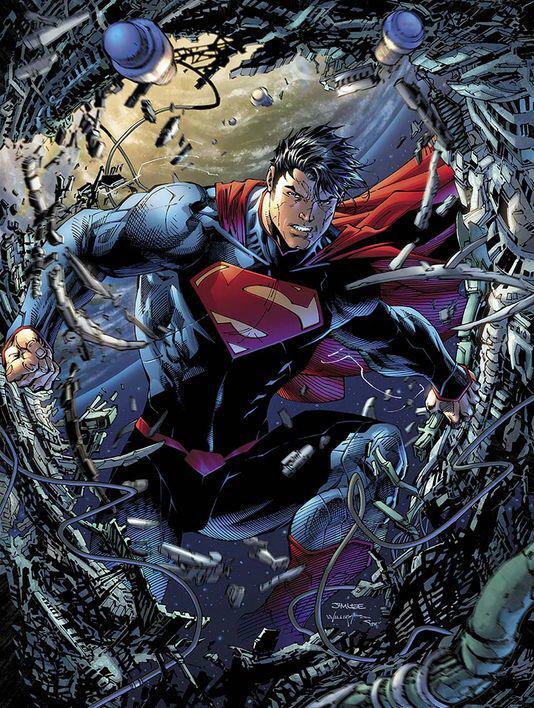 It’s seeing what he is when facing adversity or putting him in a crowd that you see what makes him a super-man. And Superman demonstrated that by using his head and an indomitable spirit because again, at his core, he rises above self-interest when lives hung in the balance, victory becoming more important than the cost to himself. While Superman didn’t always win, he always rallied for the option that meant the survival of life. And often people cite Superman doesn’t make mistakes, and of course part of that goes with the writing, but in the story it’s due to that he follows his heart. Winning for the hero meant saving people (or, alternatively, other lifeforms). 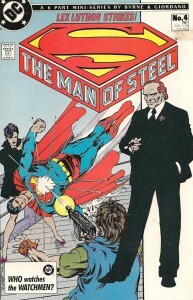 With the John Byrne, Marv Wolfman, and Jerry Ordway age of Superman following the Crisis on Infinite Earths, the character largely returned to his roots while keeping the flavor of the past. The key to this was the prominence of Lex Luthor and his reinvention. In the past, Luthor was a crime boss, mad scientist, and leader of an alien world, but this new version was by far the most dangerous: a corrupt businessman. The parallels between the two enemies was never as prominent when Luthor borrowed a note from Doctor Doom. Despite being a sociopath, a mind like that of Luthor would only naturally flourish in the corporate world in a time that led to the stock market crash of 1987 (dubbed Black Monday) and the popular film Wall Street. 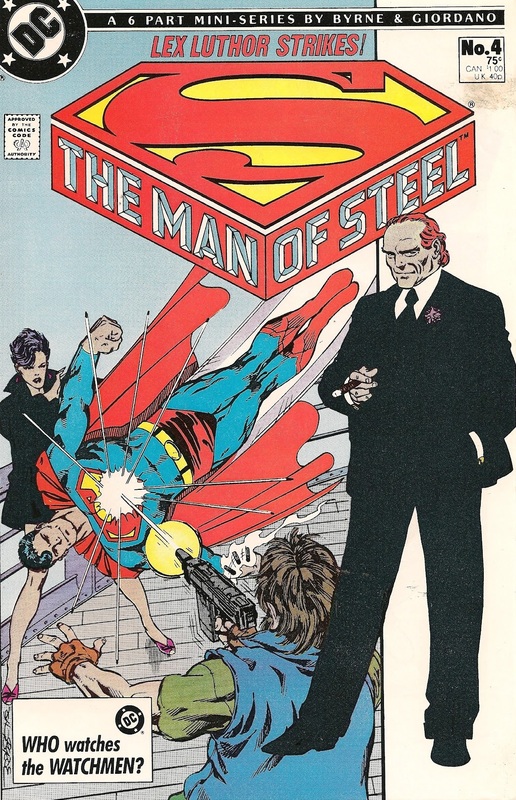 Luthor had money, and with it power, able to commit crimes but push blame on to others or simply put a politician or judge in his pocket to make the problem go away (Luthor would, of course, famously go on to become President of the United States, sort of cutting out the middle man). In this way, Superman was anti-establishment, a seeming force of nature that grew out of a need for a powerful agent that could stand outside the system and affect positive change despite those in power trying to oppress the people (either directly or subtly). This new Superman had a world education and view that faced his share of invading forces from Apokolips but who had to adapt his skills to a new world that both adored him but maintained an inherent fear of him (a fear Luthor and Darkseid and several others took advantage of to try and control people). And with this in mind, Superman didn’t just protect people, but he had to earn their trust everyday. Admittedly, I’m not reading Superman today. But, I have little doubt the character has changed all that much. Superman has and still stands for many things. He stands for a power and representation of the ideal of mankind, of what people could be if they abandon prejudice, self-adulation, and avarice to be courageous, empathetic, and think for themselves. Sure, Superman has bigger problems than we will ever deal with in reality, but that’s the point. The problems that we deal with seem insurmountable, many people struggling to live another day but the same reasons Superman triumphs over his problems is how we also triumph: because we don’t do it for ourselves. For Superman, that’s the people of Metropolis, Earth, and on. For us, it’s our parents, siblings, significant others, friends, children, and on. In our brightest moments, we want to share it with family and friends. In our darkest hour, it’s our friends and family who keep us from slipping in that darkness. Superman stands for what we want to become, to be strong enough to protect our family while staying true to what makes us human. In this manner, the best way to understand Superman is to understand how each of us can be a hero everyday in our own lives.